These are the leaves of one the most widely cultivated pepper plants, called "Santa Maria" (Piper peltatum). 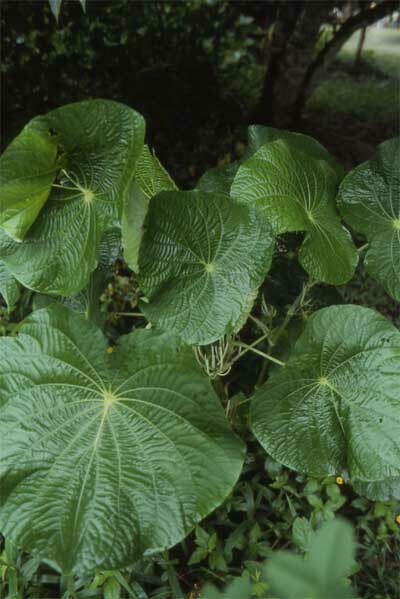 This species has a large number of uses, primarily related to reduction of swelling. It is also used as a poultice for burns and abcesses, and to treat toothache and headache, as well as a number of more serious ailments. Note the small, finger-like projections in the middle of the picturethese are the plant's flowers that eventually form seeds which are harvested as peppercorns.